The department of communication sciences and disorders will launch a new graduate program curriculum effective summer, 2019. This general option prepares students for professional practice as a generalist. Students design a course of study that matches their career goals. Practicum experiences in educational, rehabilitative, and private practice settings are available to enhance applied learning. Upon completion of coursework and clinical training, students are prepared to provide clinical services to individuals of all ages who face communication challenges. Regardless of the option selected, students will complete a combination of core, required, and elective courses to earn a minimum of 61 credits. See course descriptions for a list of all CSD graduate courses. 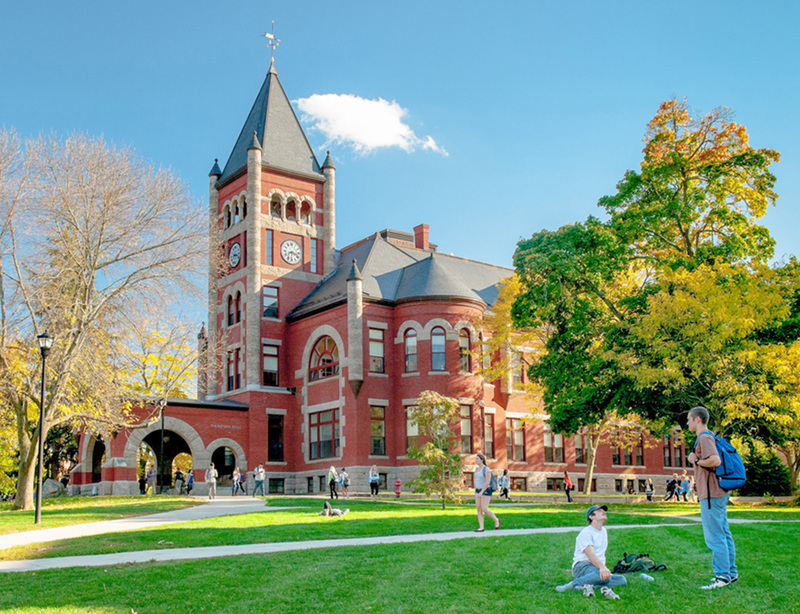 In addition to the academic and clinical requirements, the UNH Department of Communication Sciences & Disorders implemented an Essential Functions Policy on June 7, 2010. This policy identifies basic communication, motor, cognitive, sensory, and behavioral­-social abilities that are necessary for completion of our master's program and professional practice. Some of these abilities should be in place when students begin the program, while others will be developed throughout the program. Early each fall, the Essential Functions Policy will be reviewed with new students beginning our program. Students are expected to sign that they have reviewed and understand the policy and will follow the stated guidelines. Other approved courses outside the department. All students are required to complete four practicum rotations and two externships during their graduate studies. Practicum assignments take place at the UNH Speech-­Language­-Hearing Center (SLHC) and University-­supervised satellite programs. Externships are available at a broad range of department-­approved settings, including public and private schools, language­-based preschool programs, early intervention programs, health care settings, and private practices. UNH requires students to have 15 documented observation hours prior to the start of clinical work. During fall and spring semesters of year 1, students complete clinical work that directly and simultaneously corresponds to coursework. Clinical assignments are completed at the UNH SLHC as well as University-­supervised satellite programs. During year 2, students complete two semesters of diagnostic clinic at the UNH SLHC along with two externships at two different settings. Students shall participate in at least one externship that corresponds to their selected option in order to develop clinical skills in their area of interest. 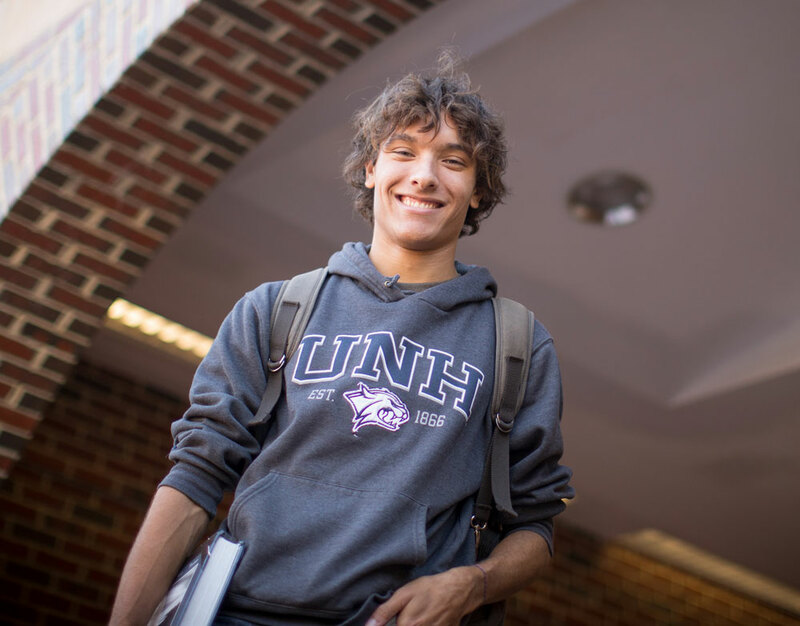 Since the UNH CSD Graduate Program is a full-­time program, we expect students to be available for clinical assignments when not in class. Students are responsible for transportation to satellite programs, externships, and other community learning experiences. Practicum sites may require a physical, including a tuberculin test; proof of immunizations such as poliomyelitis, rubella and hepatitis; health insurance; and drug/urine testing. In addition, students are responsible for meeting the criminal record clearances established by the practicum site. Failure to pass required medical and other clearance checks could render a student ineligible for a practicum assignment and thus unable to complete program requirements. To learn more about the available externships please contact the CSD office. Phase I is a comprehensive exam scheduled at the end of the first year of graduate study. For the year­-one comprehensive exam, all students will write for three hours, answering three out of four integrated questions addressing content specific to the first year. All students except those writing a thesis must pass a year-­two comprehensive exam designed to assess their mastery of the full two­ year curriculum. Students will write for six hours, answering six out of eight integrated questions. Students who have selected either the Early Childhood Communication Disorders, Language/Literacy Disorders, or the Adult Neurogenic Communication Disorders options are required to respond to one question specific to their course of study during the year­-two comprehensive exam. Students may choose to write a thesis in lieu of the year­-two comprehensive exam. Upon completion of an original research project, students must defend the thesis in an oral examination and must gain approval of the thesis committee. In addition to required coursework, students must register for 6 credits of COMM 899 Master's Thesis. In no more than two pages each applicant must respond to the following three areas: 1) Describe yourself. We are interested in learning about you as a person. 2) Where do you see yourself professionally five years from now? Ten years from now? 3) What one issue in the field of communication sciences and disorders interests you most at this point in your educational development? Why? The academic and clinical components of the graduate program are inherently linked. As a result, students may participate in clinical activities within academic courses as well as clinical experiences. Likewise, students participating in a clinical experience may be assigned a client whose specific needs do not correspond to a course. In this case, students will have to research the diagnosis, intervention approaches, etc. in consultation with their clinical supervisor. All students are required to complete at least three practicum rotations and two externships during their graduate studies. During fall and spring semesters of year 1, students complete clinical work at the Speech-Language-Hearing Center (SLHC) and/or the Clinic for Neurogenic Communication Disorders (CNCD). During year 2, students complete one semester of diagnostic clinic at the CSD clinical programs along with two externships at two different settings. Students are responsible for transportation to externships and other community learning experiences. Practicum assignments take place at the CSD clinical programs during year 1 of the graduate program. Students may be assigned clients from the Speech-Language-Hearing Center and/or Clinic for Neurogenic Communication Disorders. Since the graduate program is a full-time program, we expect students to be available for clinical assignments when not in class. Students must meet the criminal records clearance for participation in the CSD clinical programs. During year two of their graduate studies, students complete two externships at two different settings. Externships are available at a broad range of department-approved settings including public and private schools, language-based preschool programs, early intervention programs, healthcare settings and private practices. Externship sites may require a physical, including a tuberculin test; proof of immunizations such as poliomyelitis, rubella and hepatitis; health insurance; and drug/urine testing. In addition, students are responsible for meeting the criminal record clearances established by the site. Failure to pass required medical and other clearance checks could render a student ineligible for an assignment and thus unable to complete program requirements. This map shows a sample of available externships in New Hampshire, Maine, and northern Massachusetts. The map is color coded for setting type. Health care settings are displayed in red, private practices in blue, early intervention in green and educational settings in yellow. Select a marker on the map for more information about the setting.